Hey YABCers! “Thanks for getting my undies back.” “Thanks for coming over.” “Thanks for coming to get me.” If you are as big a fan as I am of the classic 1980s movie 16 Candles, you’ll know exactly what those quotes mean. And I hope you are, because otherwise you’ll think I’m very weird. 16 Candles plays a big role in my novel IF YOU WERE HERE – watching it allows my main character, Tess, to escape the grim reality of her life for a few hours. But when tragedy strikes, Tess starts questioning how much of reality she can even trust. My book is about friendship, and family, and 16 Candles (obviously,) but it’s also about the possibility of magic everywhere: the magic of being different, the magic of staying true to yourself, the magic of growing up. I hope you enjoy it! Is there a line between gifted and insane? How do you know if you've crossed it? that is stealing her mom? Jennie Yabroff was born and raised in Berkeley, California and received her MFA from Columbia University. She was a staff arts and culture writer for Newsweek and now writes freelance criticism and essays. Based in New York, she currently lives in Rome, Italy, with her family. This is her first novel. 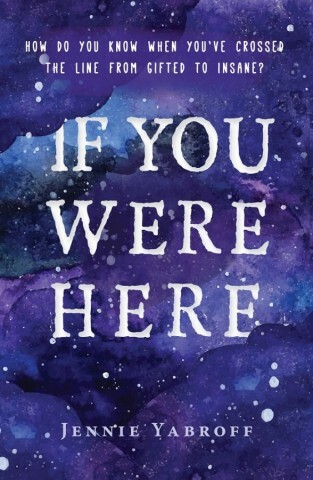 Five winners will each receive an ARC of IF YOU WERE HERE, when available. One winner of the 5 will receive a grand prize of one free book, one DVD of Sixteen Candles (which features prominently in the book), and one package of fudge-covered Oreos (also featured in the book). This sounds like it's going to be a great book!! What an interesting concept...kind of like A Beautiful Mind! The cover is lovely. Those dark colors really set the mood for the story. What an interesting concept...kind of like A Beautiful Mind! The cover is lovely. Those dark colors really set the mood for the story. I love them. The cover is so peaceful and the book sounds wonderfully unique! 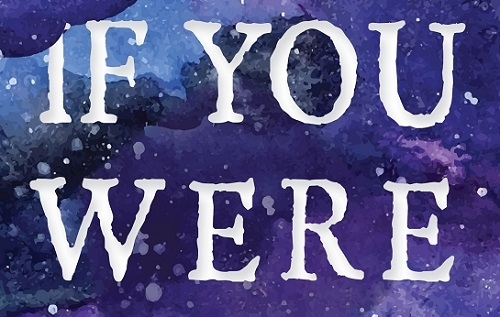 I'm always happy to see more books where kids have to cope with a parent's mental illness. Books are such a great way for kids to find someone they can relate to, but too few books touch on this subject. Glad this was written. This is a total must-read for me. The cover is good but the synopsis is excellent. I love the movie 16 Candles even though it has been years since I watched it. Mental illness is finally getting talked about more, but there is still a social stigma attached to it. I love the fact that this is being addressed in this book.